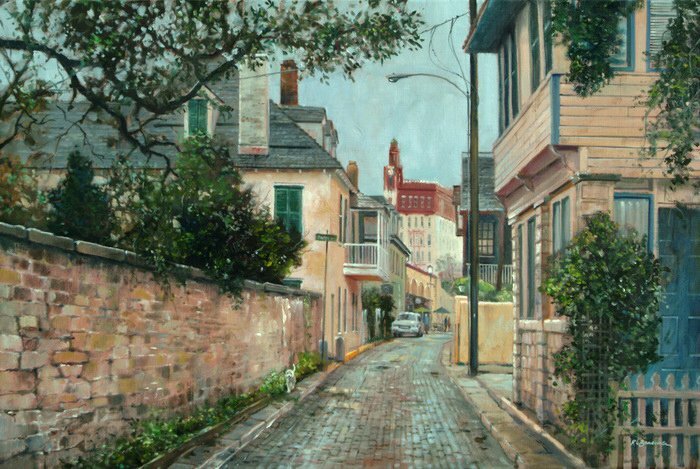 Aviles Street is the oldest street in St. Augustine and some historians say the United States. In any case, it’s a great street to visit with several art galleries. There are many small details in this painting including a small white dog. Can you spot it?